This is the opening line of The Metamorphosis, a short novel by the German author Franz Kafka. It is a mind-bending book. 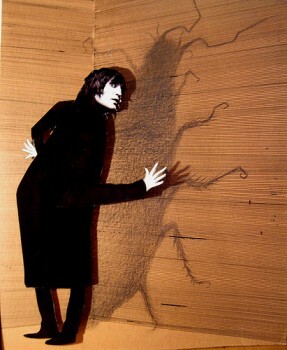 The web service, Zamzar, which was named after the transformed character in The Metamorphosis, is equally mind-bending. Zamzar converts files, hundreds of different file types, without an installation. It’s fast, easy, and free. So, let’s say you want to take a portion of a PDF and include it in a presentation (a Prezi, I hope). Or you want to take a YouTube video with you to illustrate a point in a meeting, but you’re not sure you will have an internet connection. In either case, you need to be able to convert the file to make it usable in a new format. Through Zamzar, you either upload a file, or direct the service to a URL. Zamzar will convert the file to your desired format, then send you access to the new file. Conversions typically take minutes, depending on the size (up to 100MB). You can convert up to five files simultaneously. There are some annoying ads, but I will gladly deal with the annoyance for a service this spectacular. If you want faster service, file storage, and higher size limits, you can pay. For businesses, this is a good idea. For the individual user, the free service will likely suffice. Personal Value: 5/5 â Pictures and Video. You will use it, trust me.
. . . Last year, a Supreme Court ruling and Federal Communications Commission decision declared that the Internet does not fall under existing communication service laws, putting Internet regulation in legal limbo. Since then, cable and telephone companies have been discussing how to profit from this decision. One of their ideas is to create a “multitiered” Internet. That sound you’re hearing is the death knell of equality, or net neutrality, on the Web. Net neutrality means that after paying for service, everyone can access the Internet as fast as their connection will allow, without artificial handicaps from the Internet provider. . . . This would give a huge advantage to content providers with deep financial resources, and make it unlikely for upstart ones like Youtube.com to succeed. Thank you to Ann Michael who sent me the tip on this new little beauty. The Boston Globe called it YouTube for PowerPoint. Take a look here. Content: What do you get when you cross the sociability of YouTube with the slide function of PowerPoint and then mix in a large dose of individuality? They’re calling it SlideShare, and it’s pretty exciting. You can build and upload your own slide shows OR you can go there to watch shows that other folks made. SlideShare lets you upload PowerPoint or Open Office presentation files. Then you can share them through a online interface much like YouTube. The joy is that now PowerPoint documents can be stored on the Internet. No sending, copying, or moving them to a new machine. You can even embed them in your blog. People are already finding creative ways to make use of this new mashup. Here’s what they say at their main site. How people are using SlideShare? Teachers are uploading their own slideshows and also asking students to upload their assignments to SlideShare so that parents can see their work. Conference organizers are uploading presentations from their conferences. People are uploading photo slideshows to memorialize a wedding or other special event. If you are bored, check out the humour on SlideShare. There’s tons of it there! It’s so easy; it seems everyone is using it. I’ve embedded on here. To learn more about SlideShare and to see many more shows go the main site or visit their blog. America is at a time where it needs change from the status quo. Meanwhile, in terms of YouTube, not much has changed since the merger with Google despite the woe and dispair we’ve been told about this merger but Mergers between AT&T and BellSouth get good press despite being a very bad thing. I’m come to realize that everything that we are told by the media is wrong. The Media can tell us the sky is green because you don’t send Jesus money when we all know that the sky is blue because of the refraction of light particles in the atmosphere. And since this is not the first time that AT&T has tried to merge with Bellsouth (anyone remember the break up of AT&T in 1984 should know why AT&T is a malevolent entity) this is deja vu all over again. Yet the YouTube/Google merger is consider a bad thing? This coming from a failing mass media regime that tells us “Net Neutrality is bad”, “Net Neutrality is a bunch of mumbo jumbo”, “The Internet is a series of tubes”, and “If you support Net Neutrality, we’ll slow down your internet access and block pro-Net Neutrality websites” (that one wasn’t written down, but Comcast subscribers know exactly what I’m talking about conisering they couldn’t access Google).